From North Kerry To Laois. 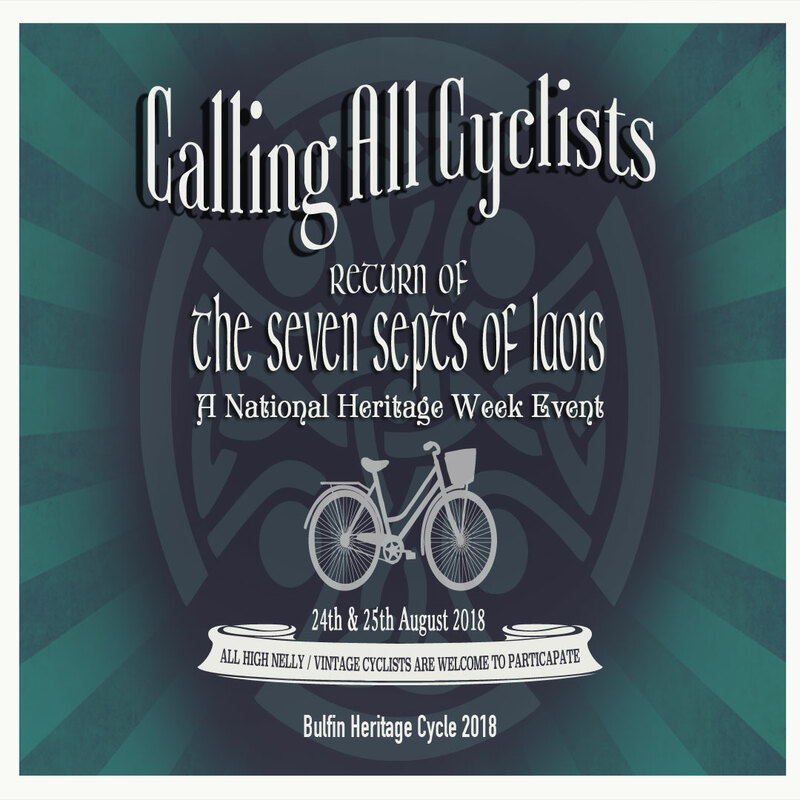 This ceremony will take place on August 25th, which is Day Two of the Bulfin Heritage Cycle Rally 2018. The Bulfin Cycle will merge here, with our Kerry visitors, from Tarbert Historical Society, at approximately 12:45pm. The Historical Society will arrive with “7 Sept Family Torches”. All of this is followed by a pageant based on O’ More Family History, then the Kerry/Laois Schools – Flags Project, and Souvenir Parchment: Copy presentation of original “Septs Transplantation” treaty document. 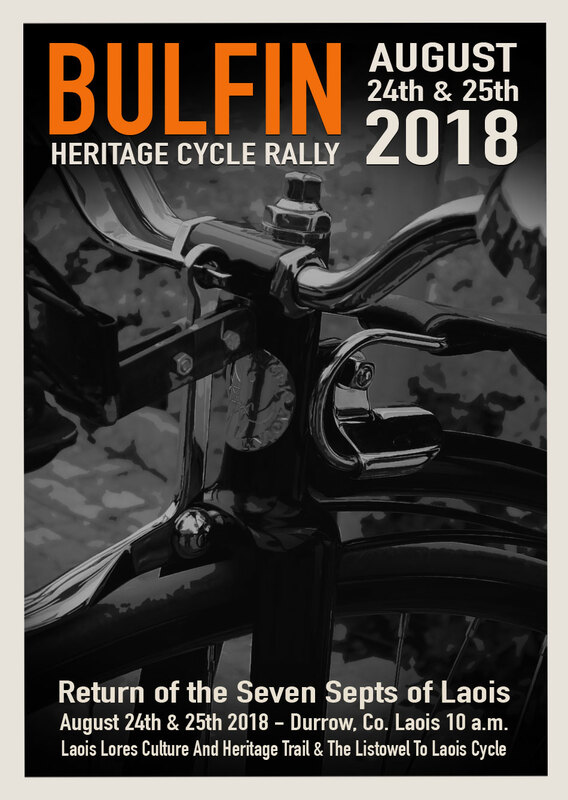 See our Bulfin Heritage Cycle Rally 2018 Brochure HERE! To purchase a Day Ticket or a Full Event Ticket, please CLICK HERE!